Rising demand for new car exports helped offset a continued decline in production for UK buyers in January. Exports were up 1.5% in January, helping to offset a decline in domestic demand. 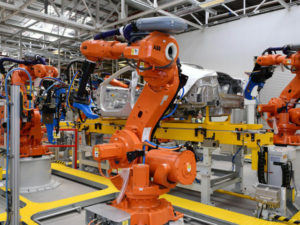 New figures from the Society of Motor Manufacturers and Traders (SMMT) show a total of 147,481 cars rolled off production lines last month – down just 0.05% or 72 units year on year. Export growth helped drive overall output, with a record 119,252 British-built cars shipped overseas – up 1.5%. In contrast, production for UK buyers declined for the sixth consecutive month, down 6.0% to 28,229.